Shaq was a free agent signing by the Lions in January 2019. 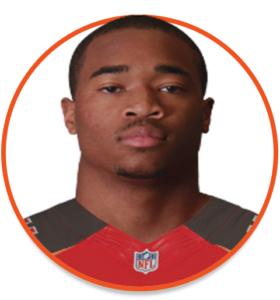 2017–2018: Shaq was an undrafted free agent signing of the Houston Texans in 2017 and also spent time with the Tampa Bay Buccaneers before signing with the Edmontnon Eskimos in January 2018. He attended training camp with the Green and Gold and was waived as part of the club’s final roster cut-down in June. Shaq attended Eastern Washington from 2012 to 2017 and recorded 178 receptions for 2,818 yards and 32 touchdowns. The versatile and speedy receiver also registered 94 kickoff returns for 2,280 yards and a pair of majors. In his final season at EWU he hauled in 77 receptions for 1,157 yards and 17 touchdowns and was named a first-team All-Big Sky Conference selection. Shaq was a Communications major at Eastern and lists his four conference championships along with a four-touchdown performance versus Northern Colorado as his most notable football memories to date. The Dexter fan says his parents are his biggest fans with Halsey being his musical artist of choice.